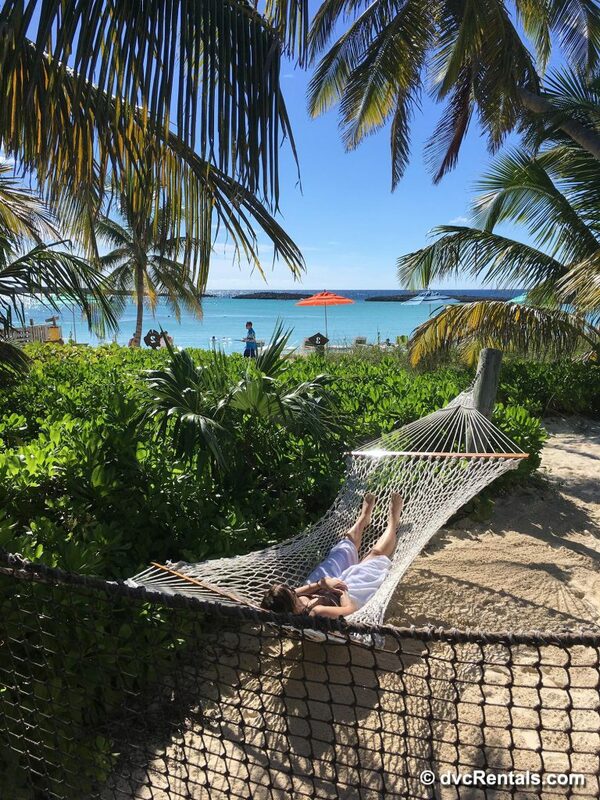 What better way to celebrate Christmas than with warm skies, white sand and a Mouse by your side. 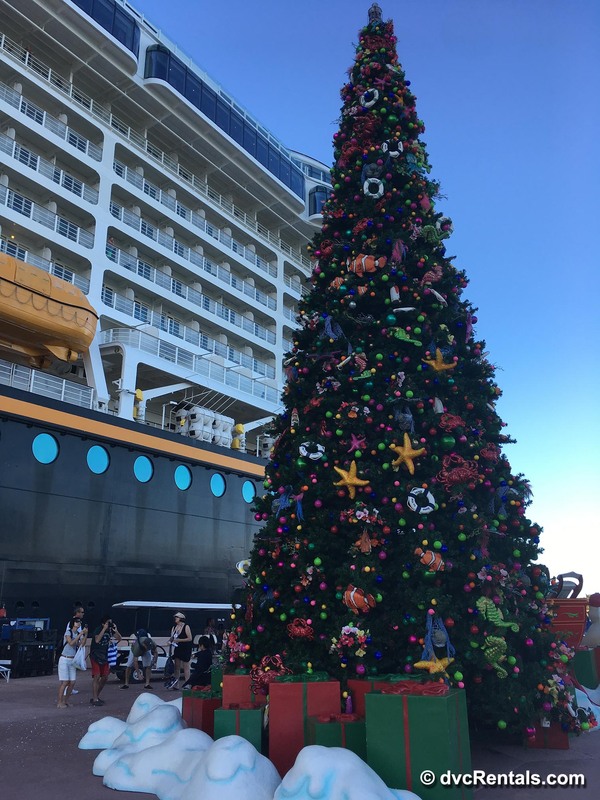 The Disney Cruise Line offers a blast of Christmas at all different angles, from the lighting of the Christmas tree to the 237 square feet gingerbread house. The big man in red makes a dramatic appearance to visit with the families and children, along with all your favorite classic holiday characters all ready to partake in the Christmas magic. 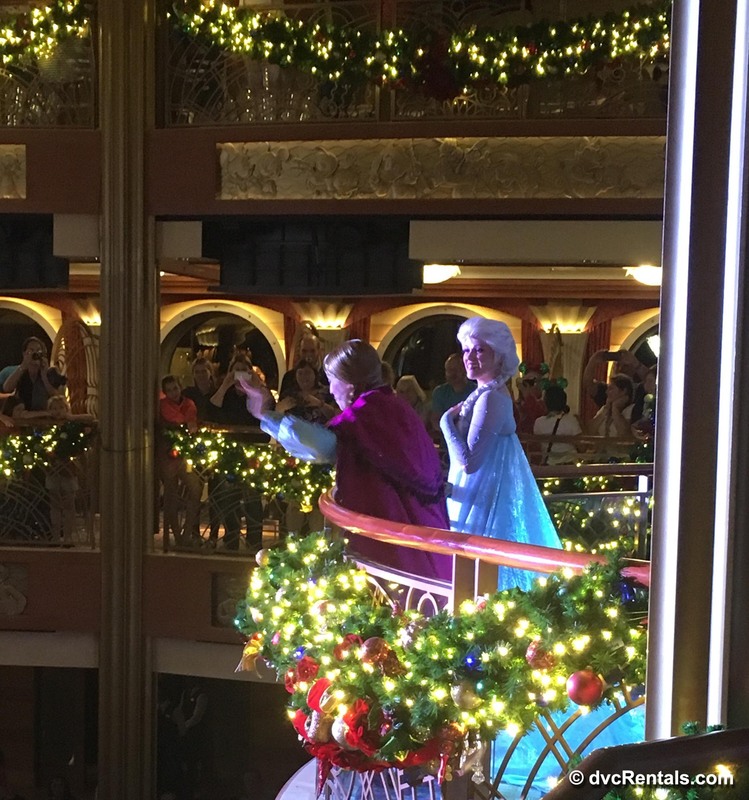 If you’re looking for a new way to celebrate the holidays, there’s no better way than on a Disney cruise. 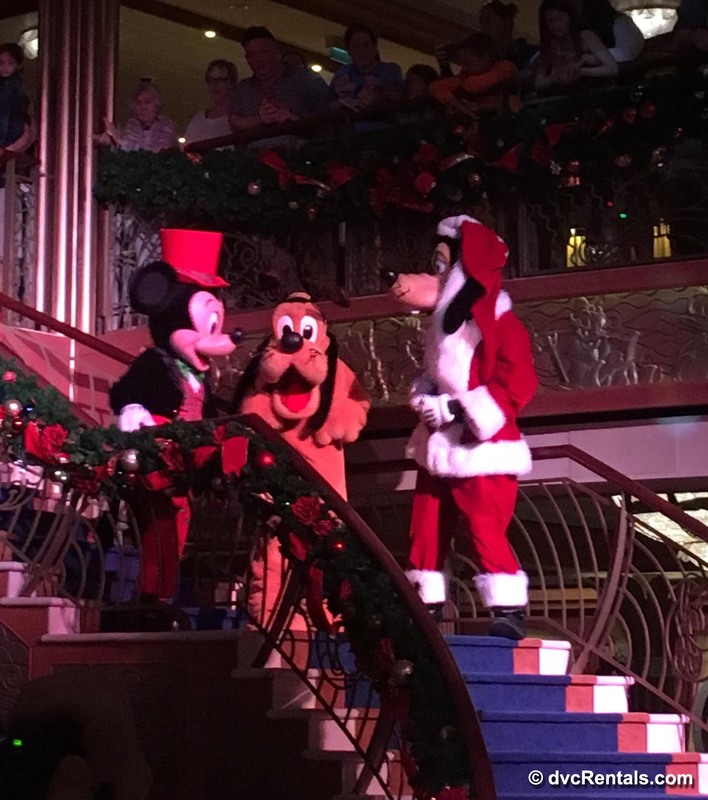 Some of our staff members were lucky enough to experience a 3 Night cruise on the Disney Dream, and we want to share some of the special touches you can experience on a Very Merrytime Cruise! 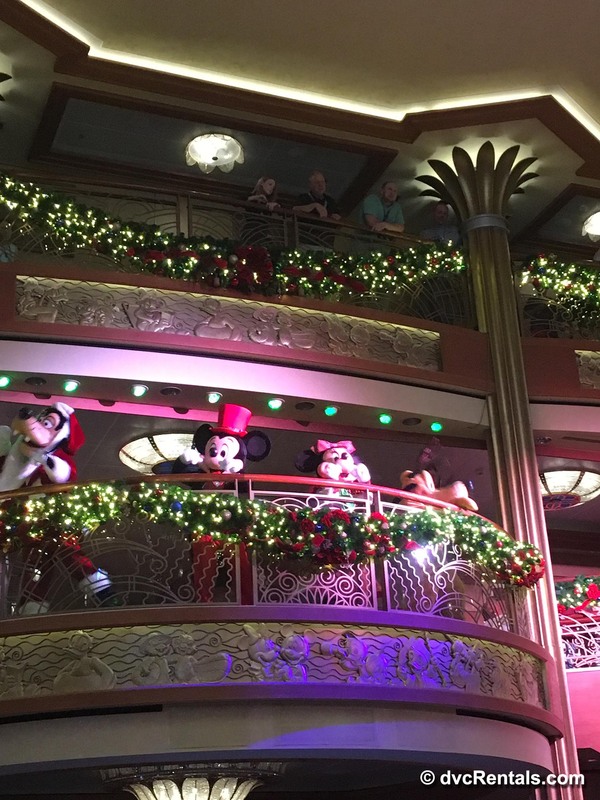 While on this cruise, holiday touches can be seen everywhere. There’s Disney classic holiday movies, like the Muppets Christmas Carol (a must watch no matter what age you are), to holiday crafts and even Christmas story telling with Mrs. Clause. The thought of Christmas is everywhere. 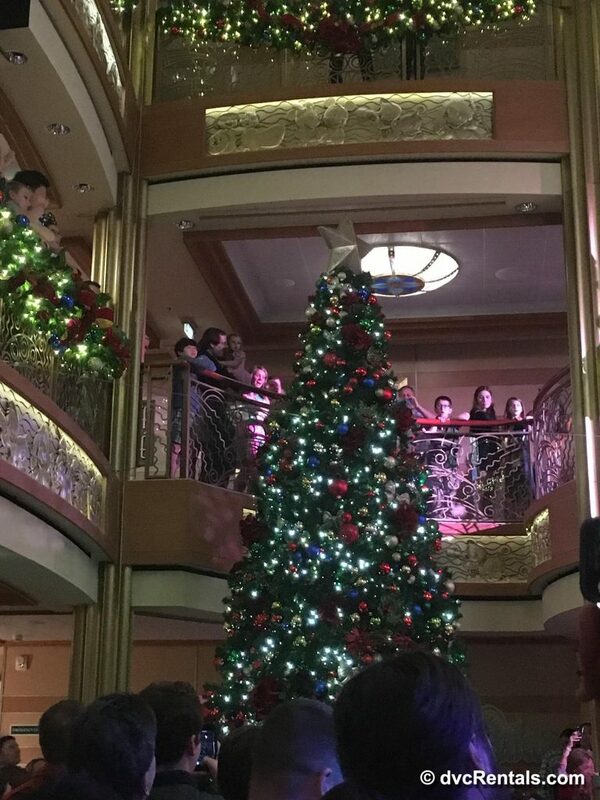 The Disney Dream starts off the holiday fun the with the lighting of the 24-foot Christmas tree in the main lobby, completed with garland, ribbon and Christmas lights throughout. It is a treat for all ages to see your favorite Disney characters all dressed in their winter best as Mickey, Minnie, Goofy and Pluto pick one special family and a little help from pixie dust bring the tree to life. 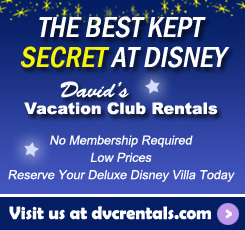 The lights shine with amazement from every direction; you can feel the Disney magic. 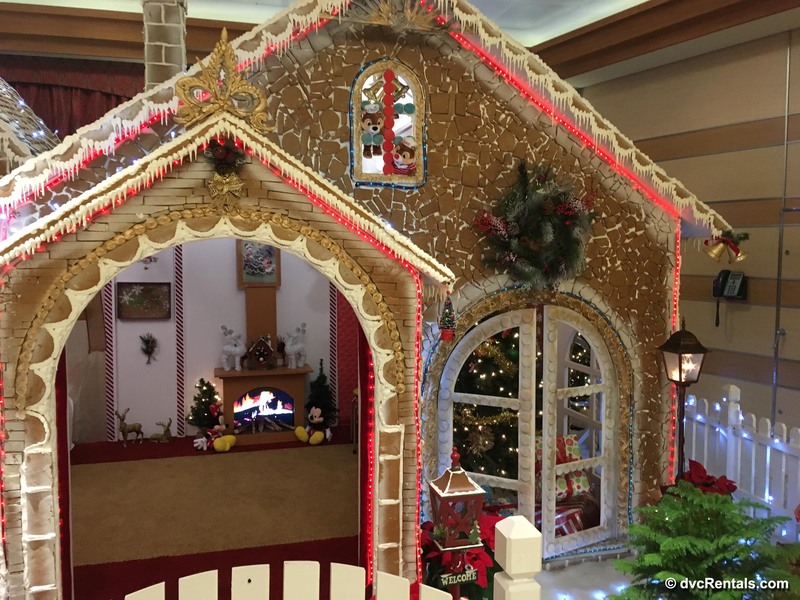 In the main hall, you’re greeted by a life-size gingerbread house. 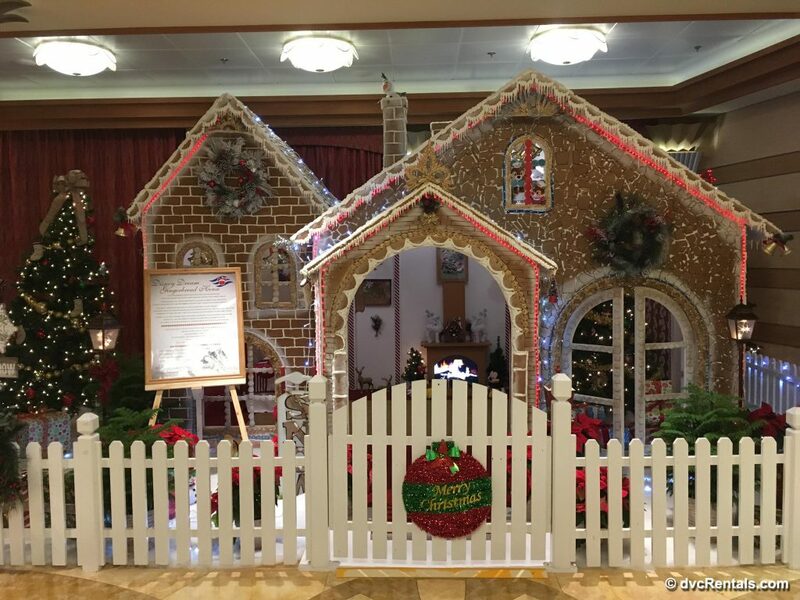 An interesting fact is each gingerbread house is uniquely designed, baked and assembled on board. 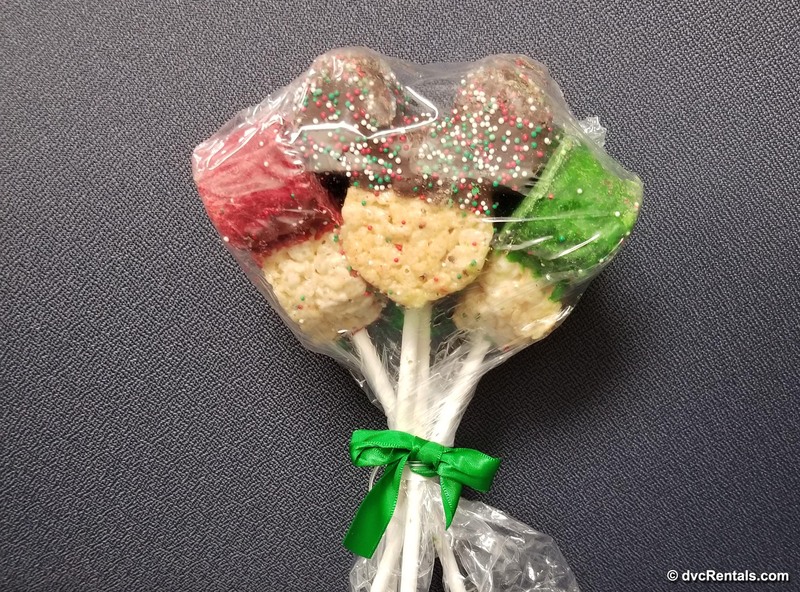 Between the delicious looking icing, to the sweet candies and cookies, it’s hard to contain yourself from taking a bite. Between the holiday music down every hallway to the sweet-smelling gingerbread house that sneaks up your nose every time you walk by. The festivals then run into Santa’s winter wonderland, this is a must-see, especially for those little ones on board. 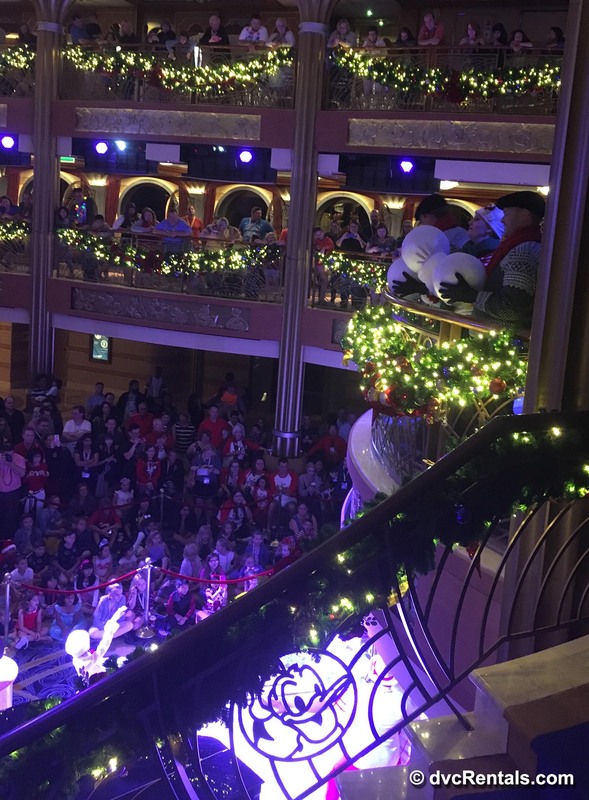 There is a fantastic dance from the Disney cruise members which incorporates the use of giant snowballs and music being played on a grand piano. During the second evening of our journey, the Disney cast members then have a very special guest as Santa arrives, bringing along a very special guest himself, Mrs. Clause. 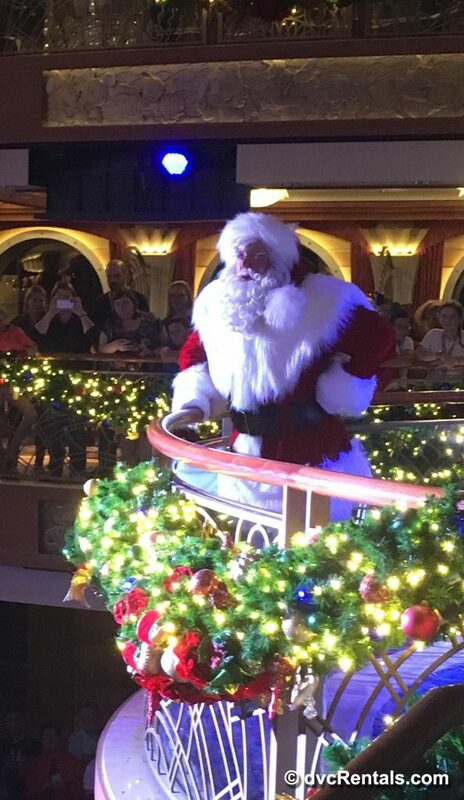 It is a joy to see as the children cheer along with a few adults as Santa climbs his way down the grand staircase with Mrs. Clause by his side. 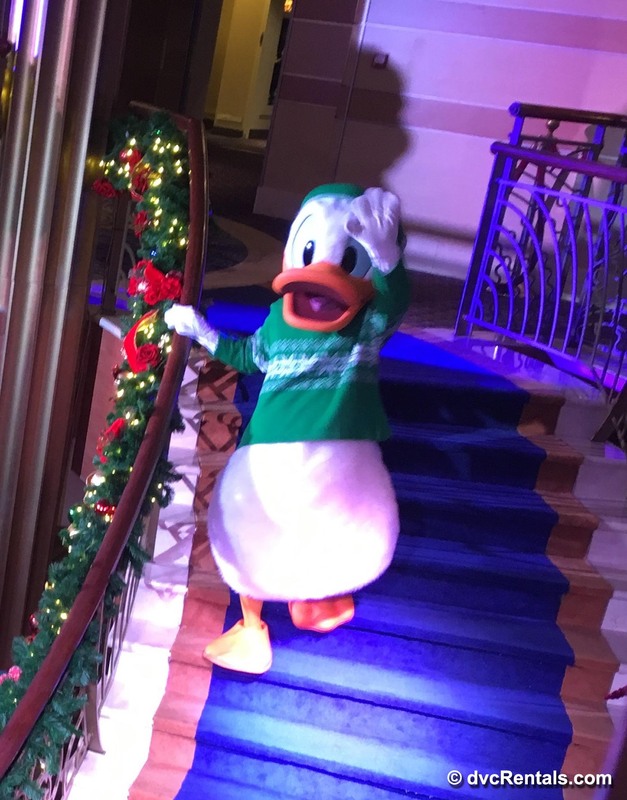 Some other appearances were made by Donald Duck, Chip and Dale in their Christmas Sweaters; and Elsa & Anna’s magical moment when the whole lobby magically began to snow. After a fantastic sail away party, and an eventful day on the ship while ported at Nassau, it was time to see everything Castaway Cay had in store. 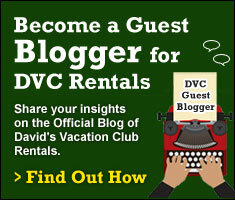 When disembarking the ship, we experienced one of our most memorable “WOW” moments of the cruise. 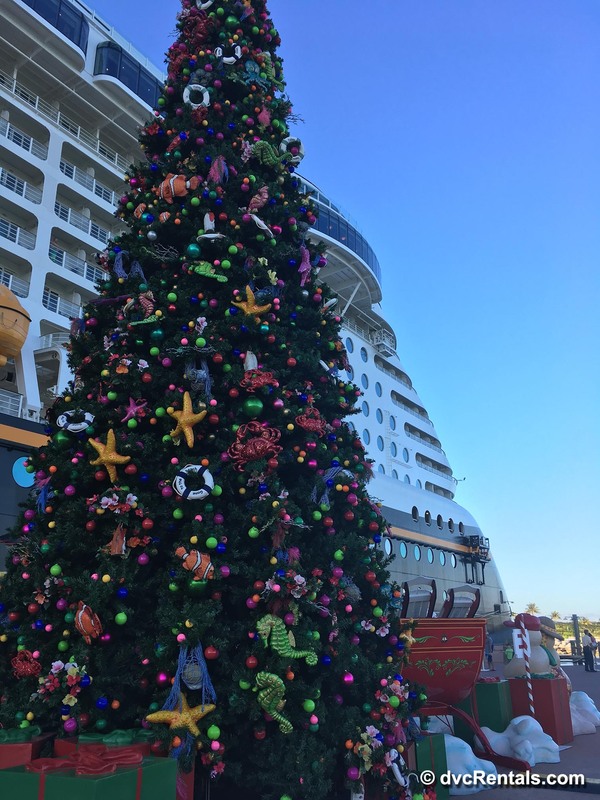 There was a Christmas tree decked out with some Disney characters and nautical ornaments to welcome guests to Castaway Cay. If I told you this tree was huge, it would be an understatement. Nemo ornaments decorate the tree as well as some starfish and seahorses. As many of you know, Disney always goes above an beyond with their details. I wouldn’t mind a tree like this in my living room on Christmas morning! This tree right where you exit the ship and cannot miss it on your way to the island. 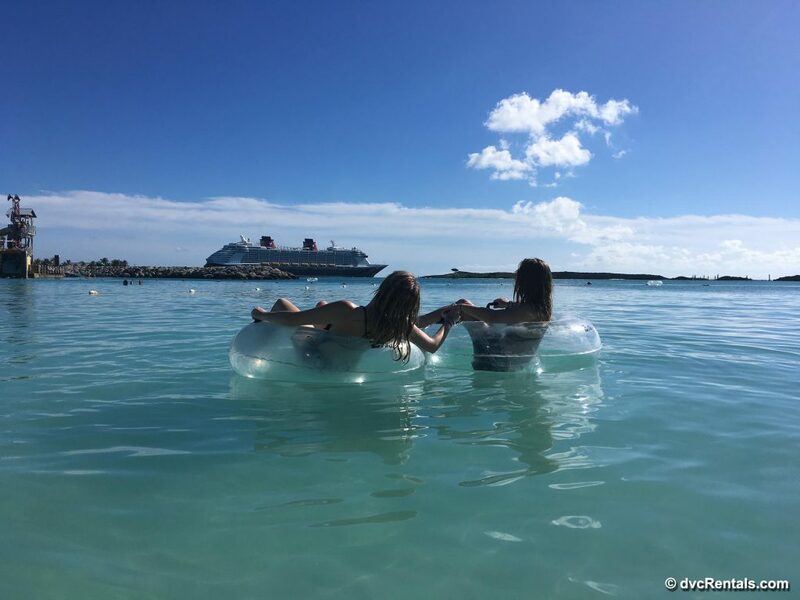 Our morning was spent tackling the Castaway Cay 5K. 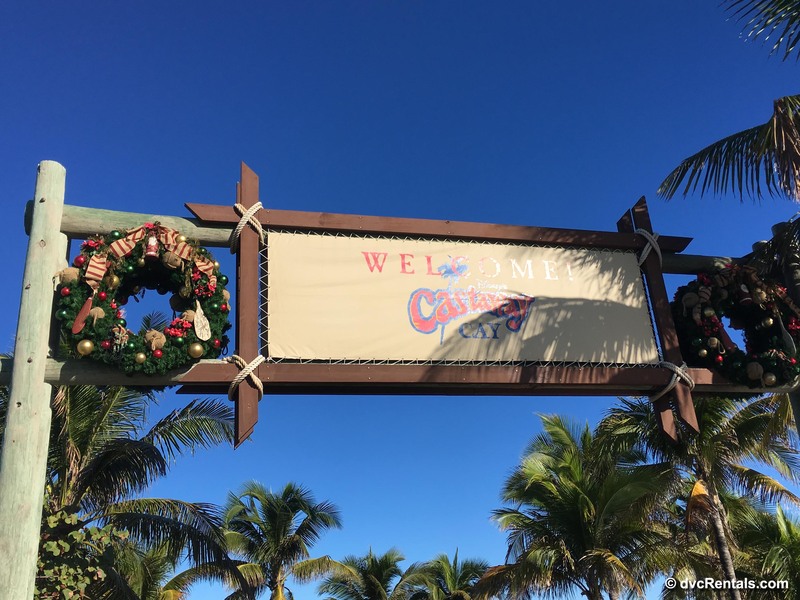 On our way to the starting point of the 5K, we were able to enjoy wreaths and bows to spice the island up for the holidays. Though you’re in the Bahama’s where it’s a hot 85 degrees, you don’t have a chance to forget what time of year it is. Castaway Cay has quite a bit of exclusive merchandise that you can’t get anywhere else. However, we did notice there wasn’t too much exclusive Christmas merchandise. 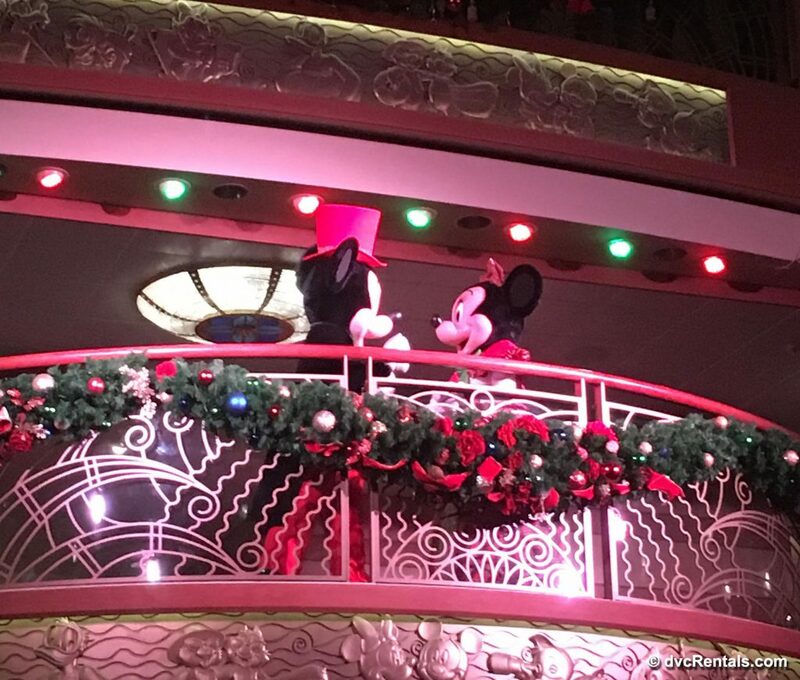 In comparison, the shops on the ship had the most adorable Mickey ears that were red and green, topped with a bow; and Christmas sweaters to wear during the Christmas season. They also offered some Mickey ornaments for anyone who feels the need to add to their collection at home. 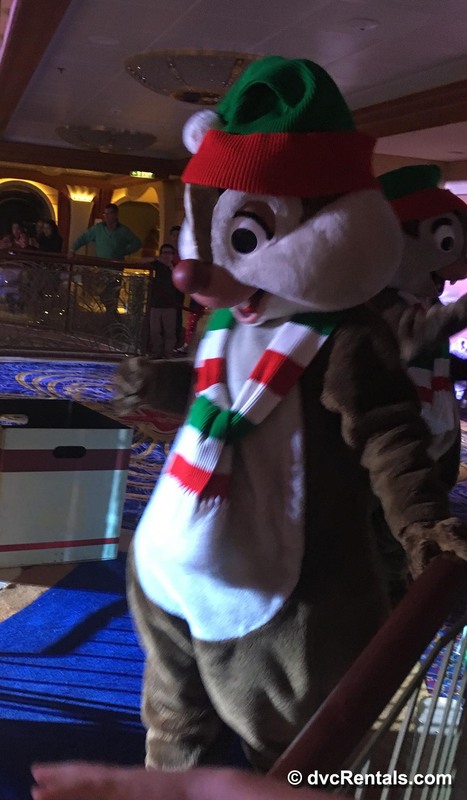 If you’re looking for a new way to celebrate the holidays, there’s no doubt that a Very Merrytime Cruise will get you grooving into the Christmas spirit!